There’s many benefits in using a pet travel service. Travelling within Australia or overseas? Need flights booked for your pet? Require a door to door service? Regardless of the travel scenario there’s countless benefits in using a pet travel service, rather than attempt to organise it yourself. Here’s just some of the benefits in having the Jetpets team arrange and look after your pet throughout their entire travel journey. Place your pet in the care of pet lovers. We know that you are trusting us to care for your much loved, precious family member. Our pet loving team includes pet travel consultants, resident vets and pet handlers, and we are specialists when it comes to pet travel. We will take the time to get to know your pet and find out if they have any special requirements. Everything we do centres around the welfare, comfort and safety of your pet. 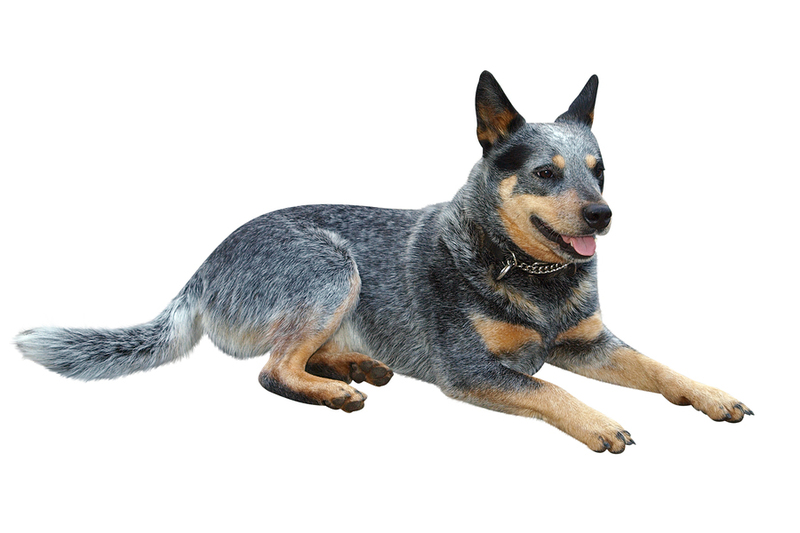 Our resident vets are located at transit lounge locations throughout Australia. For overseas travellers our vets can complete the entire vet work schedule and ensure strict country of entry requirements are met. Your pet travel consultant will create your pet’s travel itinerary and provide valuable tips to get your pet ready for travel, as well as stepping your through the entire process. Our transit lounges are conveniently located near major airports in Australia and provide a relaxing and comfortable environment for your pet prior to their flight. Our team provides great advice on the best sized travel crate for your pet. You can hire or purchase an airline compliant travel crate from Jetpets. For travel within Australia you can visit a transit lounge for guidance on the best sized travel crate, or for overseas travellers a pet handler can deliver one to your home well before travel. Our pet handlers provide great advice on getting your pet familiar with their travel crate. For door to door services our pet handlers will transport your pet in comfort in our air-conditioned fleet. For indirect flights we offer a comfort stop service, ensuring that your pet is taken care of every step of the way. We are there if things don’t quite go to plan. Sometimes a flight does get delayed or cancelled, or a pet may soil their travel crate prior to flight. You needn’t be concerned as a pet handler will attend to it. They will also be there to top up their water container. We have a strict weather policy to ensure all pets travel comfortably and safely. We have a dedicated pet travel consultant who proactively monitors the forecast and in instances of extreme weather will change the flight time if necessary. Wanting to travel on the same flight? We will do our best to accommodate this. We have visibility of pet cabin space availability across our airline partners and will suggest the most direct flight option for your pet. We monitor the weather and if your pet is travelling from or to a hot climate we will recommend a morning or night flight. You can have complete peace of mind knowing that your pet is in good hands with Jetpets, and we are accessible 24/7. With the level of expertise provided and care taken Jetpets represents exceptional value for money. There are also many complimentary aspects of our service that provide convenience to you and benefit your pet. For interstate pet travel you can enjoy the convenience of our complimentary transit lounge to airport pick up and delivery service. The convenience of our “front door” pickup by our trained pet handlers. Pet handler home visit to assist in choosing the correct crate size for your pet, and leave it with you for pet familiarisation. Our stay dry fleece mat provides an absorbent padded surface to keep your pet dry and comfortable in their travel crate. Jetpets resident vets can complete a home visit and health check. One-night boarding stay prior to travel. Follow us on Facebook and Instagram to see first hand our happy travellers. You might know Dave as one of our amazing pet handlers, and the owner of our animal ambassador Sahara. Well now Sahara and the rest of Dave’s crew have a new brother courtesy of the wonderful team at Australian Working Dog Rescue! 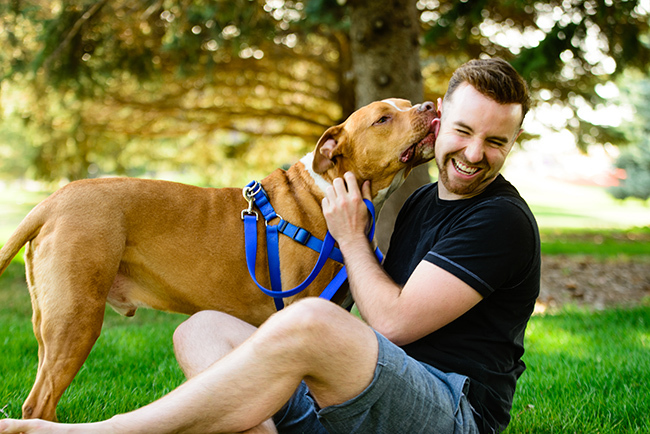 We couldn’t be happier for Dave and we can’t wait to hear how little Jet settles into his new life. Just like us humans, there are many animal species around the world that also dream about finding their one true love and life partner. From swans, to turtle doves, wolves and even some types of fish… find out which animals are embracing monogamy below. We guarantee it will make you say awww! 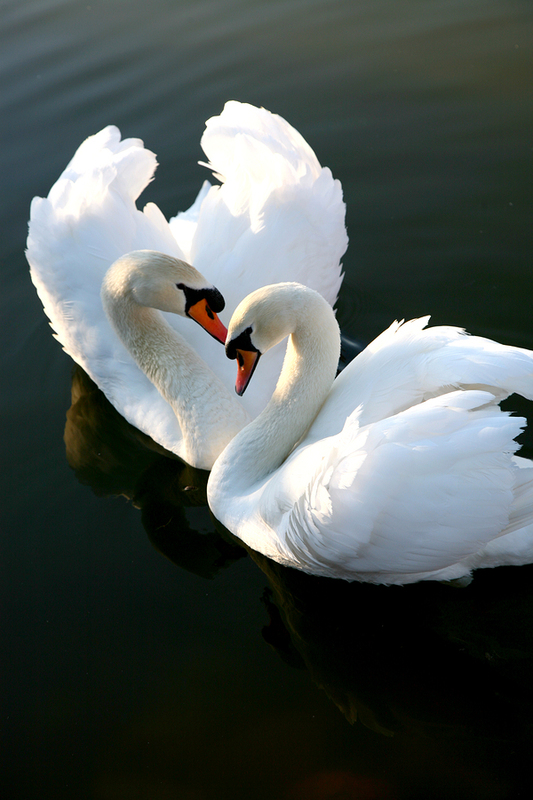 Swans have quickly become a universal symbol of love, with the famous image of two swans intertwining their necks together representative of this bird’s quest for love and lifelong companionship. French angelfish are rarely seen alone and always travel in pairs. They are extremely loyal and protective of their partners, with this bond often lasting their entire lifespan. Often depicted as scary or violent creatures in movies and books, these animals actually value family life above everything, usually carrying out their lives travelling in packs consisting of a male, female and their young. While these birds travel long distances throughout their life, no matter where they go they always return to their one partner to breed. The partnership between a male and female Albatross takes several years to develop and is cemented by a cute dance ritual. Turtle Doves have long been written about in literature, including a poem by Shakespeare and the well-known Christmas song ’12 Days of Christmas’ due to the love and faithfulness they have for their partner. 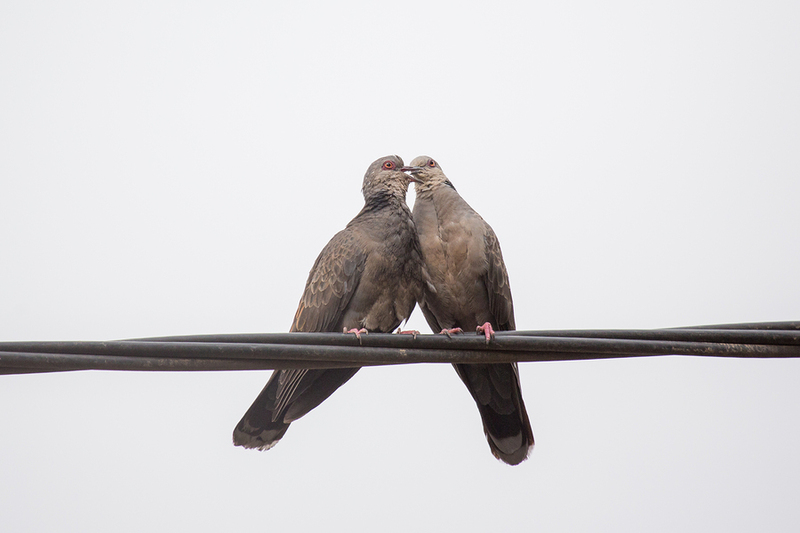 The doves usually have two offspring together and both the male and female raise the young doves together. These fierce looking creatures are yet another breed who mate for life and will even defend their partner if another bird is seen flirting with them! Both partners protect and raise their children, not dissimilar to a traditional human family unit. Prairie voles have been studied extensively and have been found to be one of the most monogamist species ever. They typically find their mate and parent their offspring together and are often seen grooming and cuddling with one another. Their loyalty is so strong in fact that less than 20% of these creatures will find a new their mate dies. Valentine’s Day is just around the corner and we are planning ahead with some easy date ideas that include your pets! Bringing your pet along is a great way for you and your date to bond, create conversation, encourage playfulness and of course try something new! Need some ideas on where to go? 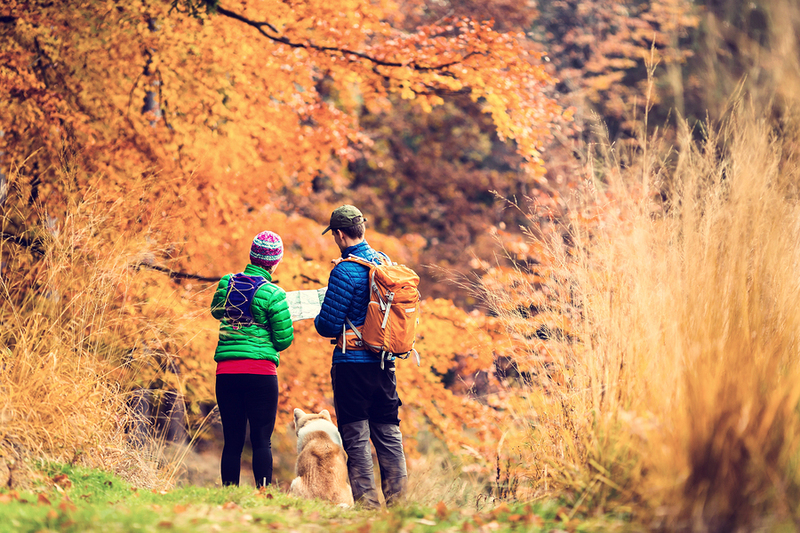 Read on below for some great date ideas that include both your date and your favourite furry friend! If you’re lucky enough to be enjoying the warmer weather, take advantage and have a picnic date night. Bring a rug, head to your local park, gardens or a gorgeous lookout, pack a tasty dinner and some bubbly and let your pooch run around (supervised of course) while you relax and enjoy the serenity. There’s no better way to bond with your date than by organising a puppy play date so everyone can have a little fun! It gives you something to talk about, will instantly relax you and not to mention your pets will enjoy having a playmate too! A puppy play date can be anywhere that’s convenient, from a house, to a park to a great walking track. Why not be a tourist in your local area? Each city around the world has some great pet friendly hotspots, from walking through the breathtaking Versailles Park in Paris, to heading to the Original Dog Beach in America’s San Diego, or taking in the breathtaking Antoni Gaudí’s Park Guell in Barcelona. Just make sure you Google the location in advance to ensure the attraction is pet friendly and bring a camera so you can take some great pictures of you, your date and your pet! Have a few days off? Why not head to your local campsite and go camping. Pitch a tent, bring some sleeping bags and light a fire while you get back to nature. (Just make sure you check the local fire restrictions in your area first.) Your pet will also love exploring the local surroundings and sniffing new spots! 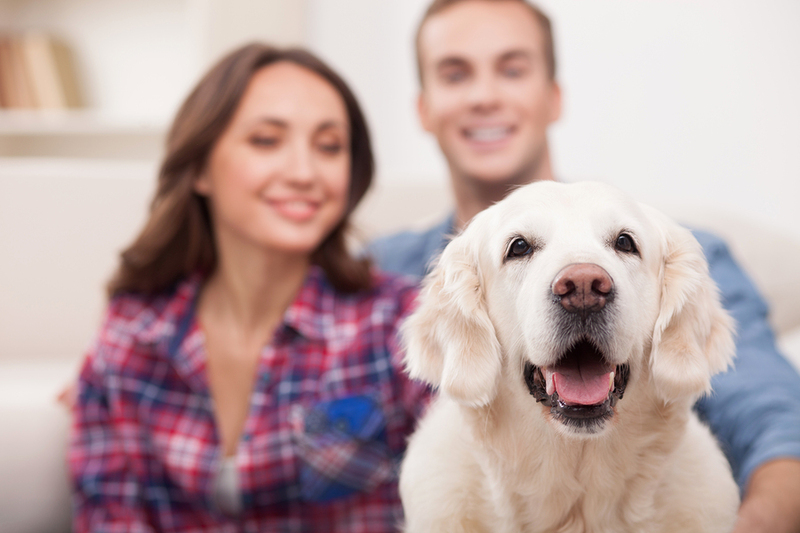 What are your favourite date night activities that include your pets? The weather has officially started to heat up, so it’s essential that we think of our pets during the summer period and keep them safe and cool. 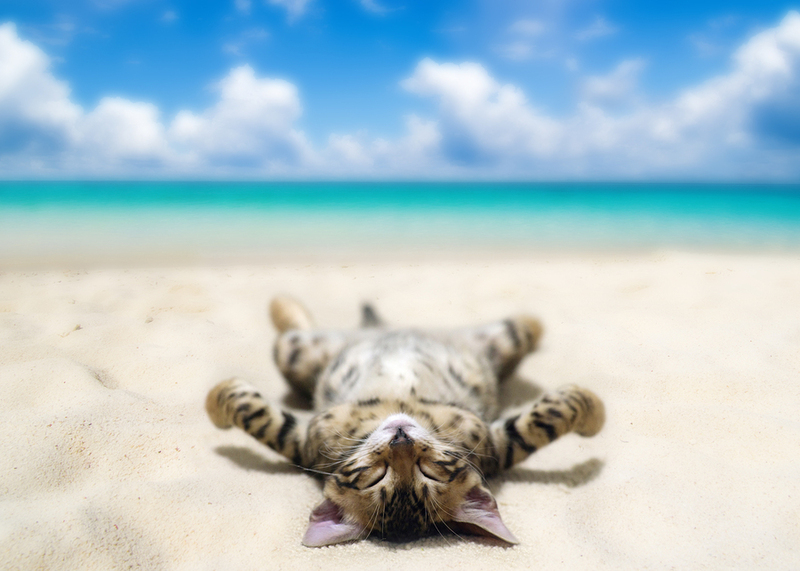 Small pets and some native animals are particularly susceptible to the heat, so it’s vital to plan ahead and follow our easy tips and tricks to care for your pets during the warmer weather. If you’re away for work during the day, make sure your pets (including dogs, cats, rabbits, guinea pigs and chickens) have access to cool, covered areas in the backyard or house with a big supply of water. If you have chickens, wet down their chook run as chickens stay much cooler when they can sit on the wet ground. If it’s going to be a really hot day, it’s best to keep all pets inside on tiled floors with the air-conditioner on, so that you know they will be comfortable and cool all day long. A great tip is to put a few ice blocks into their water bowl so their water stays cooler throughout the day. If you have a dog, why not let them splash around in a nearby lake, river or dog-friendly beach so they can exercise and cool down at the same time. Dogs love to play fetch in the water so bring a ball and we guarantee you’ll be popular! 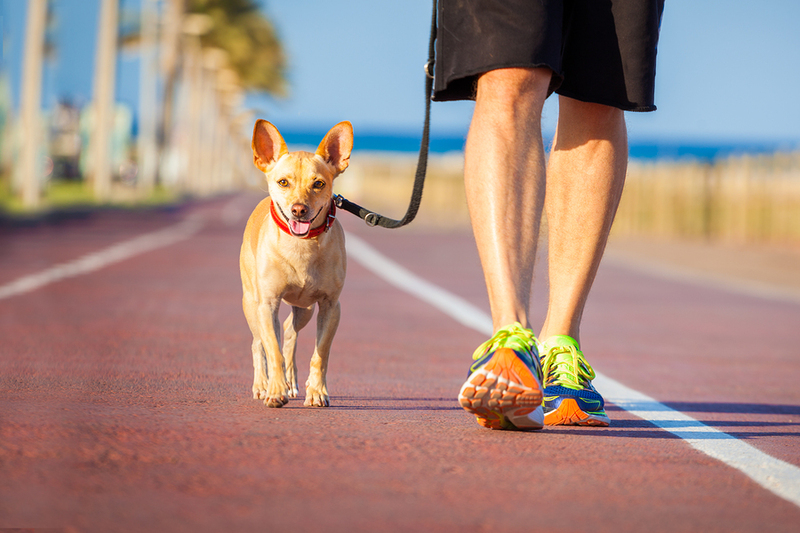 If you’re heading to the lake, river or beach as suggested above, or are just walking your animal around the block, be weary of hot footpaths, pebbles or bricks that can burn the paws of your animal’s feet. Stick to ovals or parks with plenty of grass and covered areas with shade for them to retreat and drink water when required. Even with the air-conditioner on, some cars can get extremely hot so it’s best to avoid taking them in the car where possible. If you do need to take them in the car, don’t leave your animals unattended and ensure they have access to water if required. 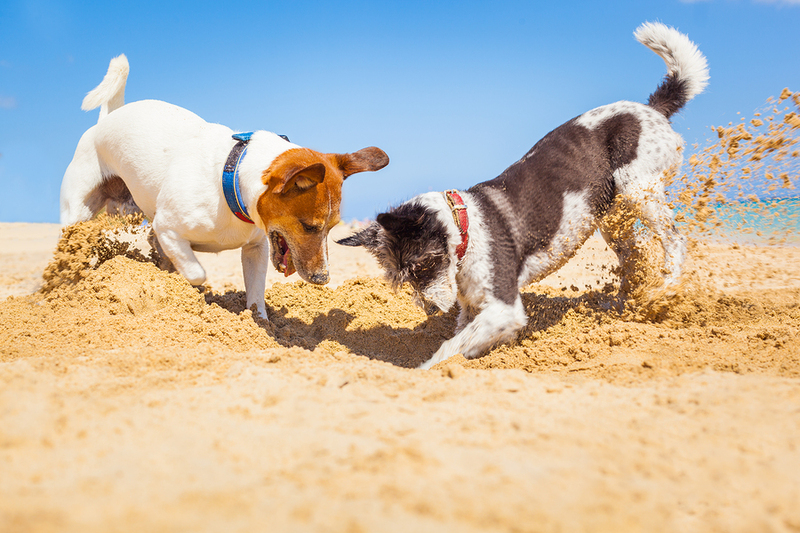 Summer is a prime time for fleas and ticks to itch and bite your pets, causing added stress and discomfort. Make sure your pets have received recent flea treatments and are up-to-date with their vaccinations so they don’t catch any nasties. During the summer season, we are more likely to see native animals and birds coming out of their hiding places to seek shade and water. If you live in the country, you may see koalas on the ground as it’s cooler down low and they’ll be looking for water as gum leaves dry out in hot weather. Make sure you leave the koala alone and keep your pets away from them to avoid any unwanted stress. If the koala hasn’t retreated after a period of time, leave a container of cold water at the base of the tree in case it’s thirsty. For other native animals like birds and lizards, place large, shallow bowls of water in shady places around your backyard to ensure they stay cool and hydrated. Make sure you refill and clean them out daily so there will always be plenty of fresh water to drink! Be weary of walking through large bushes or long grass in the summer as snakes are much more prominent. Nasty snakebites can be dangerous for humans and pets so it’s best to walk in the evening and avoid these snake hotspots. 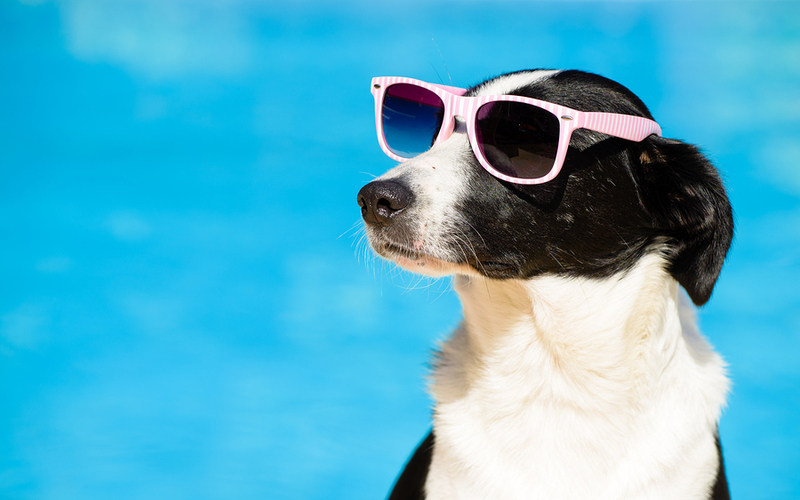 What are your top tips for keeping your pets safe and cool in the warmer weather? Let us know on Facebook. The arrival of a new puppy or kitten into your household is an exciting time for you and your whole family, however it’s important to carefully plan and prepare to ensure the experience is a positive, enjoyable one. Read our top tips for welcoming a new animal into your home. Make sure you are prepared for just about anything by stocking up on essential supplies in advance, including things like kitty litter, food, water and feeding bowl, a bed, scratching post, toys and more so that you don’t have any unwanted stress when bringing your new furry friend home. If you have time, you can even set up their feeding area with fresh water and food so they feel right at home as soon as they arrive! Kittens and puppies learn from a young age, so it’s important to start training them from the beginning. Make sure you’ve discussed with your family or partner what the house rules are for your new pet so you can implement them straight away. House rules can be anything from determining whether they are allowed to sit on the bed or couch to who is in charge of feeding. 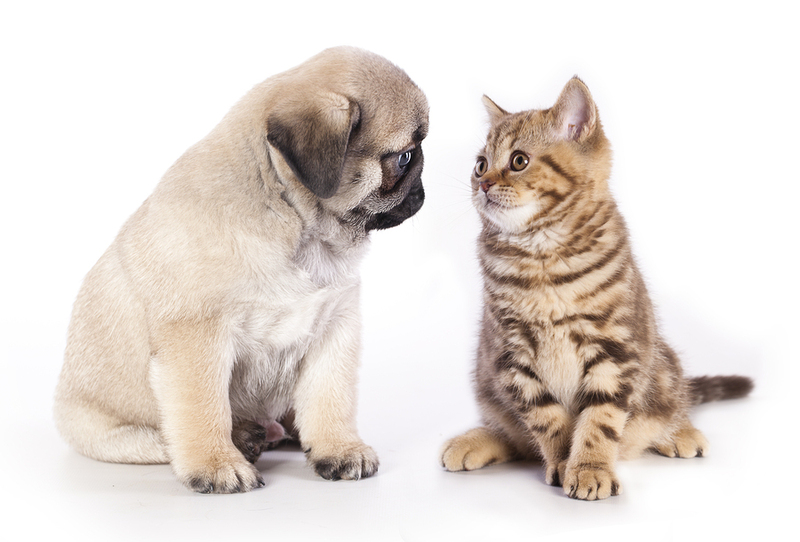 Puppies and kittens are similar to newborn babies in that they require a fair amount of attention and supervision during the first few months! Make sure you have some time off work or bring your animal home over a long weekend so you can spend plenty of time bonding and looking after your pet. This is an important part of the training process as well, as you can start to teach them the house rules and how to listen to your commands. 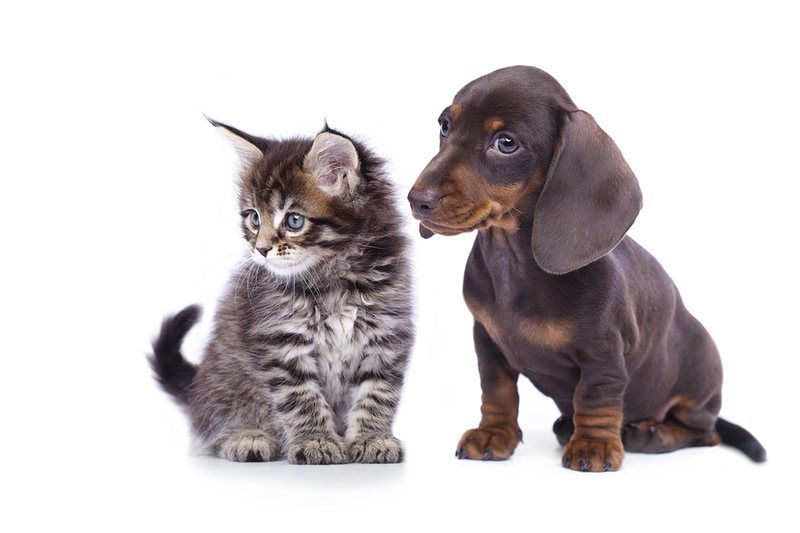 Some puppies and kittens are a bit cheeky when they are young and untrained, so make sure you watch your new pet when it’s around children to avoid any biting or scratching. This is also a great time to teach your children about looking after pets including how to pat them, feed them and hold them. Book your puppy into puppy preschool so they can start learning to listen to instructions from an early age. Make sure you use positive reinforcement when implementing these rules at home, by rewarding them with praise, treats or chews for any good behaviour. Regardless if you’ve just brought home a new puppy or kitten, it’s always great to plan fun activities so you can bond with them and start having a great time. After your animals have had their full vaccinations, take them for walk at the park or play fetch with the ball. For cats, have some fun by using a toy to play with them, or simply let them curl up on your lap while you relax and watch a movie. If you have other pets already, it’s important to carefully plan their introduction. If your pets are particularly anxious, consider having a spare room for your new puppy or kitten to play in while your pets get used to their presence. Then just introduce them for small periods of time until they get used to each other. Make sure you always supervise your pets, reward them for good behavior and be patient – sometimes it takes time! Are you planning on welcoming a new furry addition to your household in the near future? 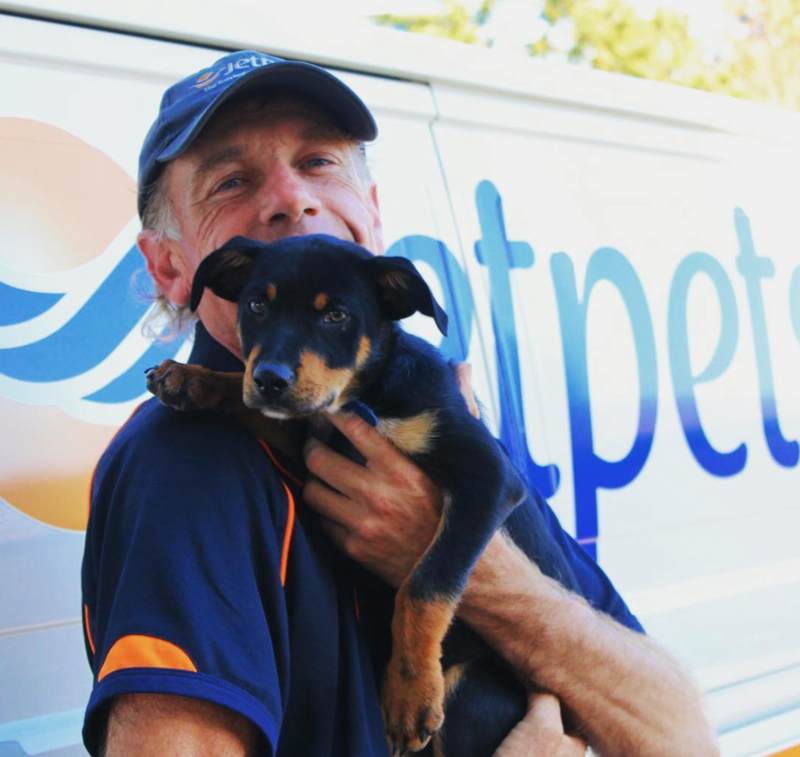 Here at Jetpets we can help transport your puppy or kitten right to your door, making the whole experience simple and easy – just ask us how!